In years past, refinancing was a fairly simple task. Homeowners would contact me wanting to restructure their mortgage to either reduce their monthly payments or perhaps to take equity to improve their home or pay off debts. Back then, a 680 credit score was considered decent (anything over 720 was great) and people had a good idea of what their homes would appraise for and if they didn’t, I could usually determine a value by obtaining sales comps from a title insurance company. It’s just not so anymore. Refinancing can be trickier because there are “wild cards” involved that may not be revealed until you are deeper into the transaction. I’m taking a few days off from “blogging” to enjoy a little break…this article was orignally posted at Rain City Guide. You can read the original, along with comments, by clicking here. Ardell offered stats from 2005 on credit scores and age so I thought I’d share credit score information from credit reports I’ve provided since the start of 2008. Not all of the subjects obtained a mortgage loan. Age 18 – 29: average credit score = 697. Don’t let age fool ya, this group had a high score of 807 and a low of 513. (This group = 12% of the demographic). Age 30 – 39: average credit score = 735. High score of 811 and the low at 614. (36% of demographic). Age 40 – 49: average credit score = 739. High score of 819 and a low of 592. (31% of demographic). Age 50 – 59: average credit score = 759. High score of 820 and the low at 680. (15% of the demographic). Age 60 – 69: average credit score = 714. High score of 813 and a low at 589. (4% of the demographic). Age 70 plus: average credit score = 805. High and low score: 805. (1% of the demographic). The average mid scores, year to date credit reports I’ve ran is 732 for the borrower and 720 for the co-borrower. This means that if they are considering locking, the rate would be based on the lower of the two mid scores. I’m also pleased to see that the credit score criteria that I use (credit scores from 720-739) seems to be appropriate for when I’m post. Using the credit score data above, it’s very likely that the younger group would be FHA candidates. Not just because of having an average credit score of 697, most are still working on building their savings and do not have 20% down payment. Combine a 697 mid score with a 90% loan to value and (now costly) private mortgage insurance and FHA may be the better option. The key is to investigate all available options if someone decides they should buy a home at this stage of their life. The next two groups, 30-49 year olds, would fit the rates that I quote at RCG since the credit score criteria I use is based on 720-739. Based on Friday’s rates, their rate would be 5.875% at 1 point (total shown in lines 801, 802 and 808 of the Good Faith Estimate or HUD). This combined group is 67% of the applications with credit reports that I have worked with year to date. Credit scores 740 and above qualify for a slightly better rate. Based on Friday’s scenario, they would have 0.25% improvement to fee–so 5.875% would be at 0.75% points (using the above example). Or depending on how rates were, they could possibly obtain an 0.125% better rate. The slight dip in average credit score to 714 for ages 60-69 I think just reflects that “life happens”. Maybe something medical has taken place or you were on vacation and thought you paid that credit card or you’re helping your kids with college or you have an unknown parking ticket or an overdue library book turned into a collection. I’ve seen many surprised people over the years where they had no idea their credit score dropped. This is in no way a reflection on this age group, it’s just how the stats came in for this report based on my data. FHA credit scores (where the credit report was ran and FHA was the identified loan program, the loan may be closed or just prequalified) averaged 680. FHA is not as credit score sensitive as Fannie/Freddie. FHA is looking for clean credit (no lates) in the past 12 months. This data is hardly scientific and is really just a reflection of the people I work with which is really pretty diverse. I don’t advertise or do cold calling or try to “specialize” in a niche market…so I’d like to think that this group is a good “norm”. I don’t blame anyone for wanting to own a home. Sometimes when I meet with clients and review their current scenario, a game plan needs to be created so they can work on getting themselves into a better position to buy a home. The last thing anyone wants is to cram themselves into a mortgage they cannot afford or to commit to a long term payment when they don’t have a great track record of making payments on time. Some times a plan may take 6 months or a year or longer before someone is ready to buy a home. I have someone with low credit scores who wants to buy a home. She knows she will probably be a candidate for FHA financing because she has little down payment and her credit. Although FHA is not as persnickety about credits scores as conventional financing, they scrutinize credit history: especially the last 12 months. This person has a few late payments this year, the last one being as recent as August. FHA financing is most likely out of the question for her until August next year assuming she does not make any other late payments between now and then. She can work on her credit for the next 10-12 months (until she has 12 months since her last late payment). She doesn’t have any collections but she does have a few small accounts that are “maxed out”. Credit card “A” with a balance of $477 and a limit of $500. Credit card “B” with a balance of $323 and a limit of $300. Credit card “C” with a balance of $215 and a limit of $300. The first thing she should do is focus on getting card “B” under the limit of $300. She’s getting whammo’d with her credit scores for being extended beyond what her credit limit is with this account (in addition to being maxed out). She should at least pay it down enough to make sure that her interest fees won’t keep popping her over her limit. Next she should select one of her two smallest cards to pay down to at least just below 50% of her card limit. Card “C” would only take about $65 to bring her debt down to 50% of the line limit (300 x 50% = $150). Then pay down the next card to at least 50% of the limit. “Card B” will take $150 (assuming she’s paid the extra $23 that has pushed her over the limit) to be at 50% of the credit line limit. Credit card “A” will take a little extra cash at $227. (500 limit x 50% = $250. 477 – 250 = 227). She needs to keep her credit below 50% of the credit line at the very minimum. I know I said FHA is not as picky as conventional. However, you do want your credit scores above 600 in order to receive better pricing (620 and higher is even better). Not only will this help her with qualifying for FHA financing, she’s probably also paying higher insurance rates due to her current credit scores. She has a decent income and no savings. She needs to use this time of working on her credit to also build up her reserves. Not only for what the lender will require (3.5% minimum down payment for FHA as of January 1, 2009); but for her sake should her income change or issues arise, she should have a minimum of 6 months worth of living expenses saved (FHA does not require this, I’m suggesting it). She has been considering homes priced around $275,000. FHA’s minimum required investment for this home next year will be $9,625. The seller can pay the remaining closing costs and prepaids as long as she has met the above requirement (which can be a gift or loan from family members)–this would need to be negotiated in the purchase and sale agreement. The proposed mortgage payment would be around $2,000 (including taxes, home owners insurance and mortgage insurance). This is $700 more per month than what she is currently paying for rent. Once she has corrected her credit, she should practice making a $2000 mortgage payment by paying the difference ($700) into a savings account that she leaves untouched for her down payment and to hopefully create a savings cushion. $12,000 in savings would be ideal (6 months of mortgage payment) but not required. If she has no savings, it will take her just over a year to pay $700 per month to come up with the down payment (9625 divided by 700 = 13.75). Another 17 months to have a savings cushion of $12,000. I know this isn’t instant gratification. It is developing responsible financial habits. There are expenses to owning a home beyond renting. One of my last homes required a new roof just months after moving in to the tune of $15,000. Savings has always been important and it’s even more true in our current economy. She’s all ready moving in the right direction by contacting a Mortgage Professional who is interested in her long term financial well-being and is willing to help her create a game plan. Check out my related article: Getting on Track to Buy Your First Home. With every point of your credit score being more crucial than ever, I thought it would be a good time to share some tips on how to improve your credit scores beyond paying your bills on time. If you are considering obtaining a mortgage within the next 12 months, you should meet with your Mortgage Professional to help advise you on this process. Some steps in repairing your credit may actually temporarily lower your scores (such as paying off a collection). What steps you should take depends on how soon you plan on buying a home or refinancing. Whether you’re married or are a couple who own a home together and are now facing a separation, dissolving a partnership is never easy. Even if both parties are amicable and agree to the break up, it is a very emotional time. You may just be thinking about who gets to keep the house…or you just may want out and not even care about the property. Your mortgage and credit history is probably the last thing on your mind…however, you may want to consider protecting the credit that you’ve worked hard for. Do contact an attorney who specializes in divorce. Even if you just contemplating a divorce and you’re not certain you will file. It’s important to find out the facts and get legal advice from a professional. Obtain your current credit report. You can get a free copy from www.annualcreditreport.com. Review it to make sure that your debts are in order and that the other party is not using your credit for “retail therapy”. Identify which accounts you may want to close if they have your name on them. The credit company may be all too happy to issue your own card in your own name. Having an ex-partner with your credit, even if you’re getting along now, can wreck havoc on your scores. If your name remains on an account they have, even if they pay the debts on time, if the balances exceed 30% of the limit on a credit card, your credit score will suffer too. Consider closing any joint accounts immediately that are not in use and removing your name from any accounts that you are a signer on. Secured accounts, such as loans attached to vehicles and mortgages must be dealt with too. You might consider selling the items that have secured loans in order to remove your name and liability from the debt. Otherwise, you should consider refinancing the loan. Plus, the payments may be factored as your debt when qualifying for new loans, such as a mortgage. Should your ex-partner decide they want to keep the house, require that they refinance the mortgage so that your name can be removed from the debt. Deeding the property from one person to another does not remove the liability of the mortgage. Even if your partner is a really nice person right now, if they lose their job 5 or 10 years from now, and your name is still on the mortgage, it will dramatically impact your credit if the bills are not being paid. If your ex-partner does not qualify for a refinance of the property, then how can you expect them to make the payment? It’s too risky. One of my friends went through a divorce. Her ex really wanted the house. He did not qualify for the mortgage on his income alone and wasn’t thrilled when she insisted that he needed to refinance to take her name off of the mortgage. Although it was a tough decision, they sold the house and split the proceeds. He remarried and bought another house with his new wife and in just a few years, filed bankruptcy and the home was foreclosed. Imagine what would have happened to her credit if she would have accepted the cash offer of her share of equity without refinancing the mortgage out of her name? She would have been responsible and included in the foreclosure. Her credit would have been trashed and it would be extremely difficult for her to buy a home. Should you divorce, your divorce decree will not override your agreements with creditors. It’s important to be proactive and to always take steps to protect your credit. Although credit scores are reflective and not permanent, bankruptcy and (especially) foreclosure will impact your credit scores and interest rates for years. Remember, take precautions with your mortgage, credit history and consult with an attorney if you are considering a possible divorce. How Strong Are Your Legs? A borrower in a mortgage transaction is kind of viewed like a chair with four legs. The legs on the chair provide strength to the base or seat of the chair. If one leg is shorter than the others, the chair is still strong, but may wobble a bit. Shorten two legs and the chair becomes less stable. Three week legs and the chair is just waiting to tip over on you. So how strong are the legs of your chair? Consider each of these items as one leg in your chair. Employment. Having a minimum 2 year history in your line of work (this can include education). Employment gaps that don’t make sense to an underwriter, may cause issues with getting your mortgage approved. A lender wants to know that you are going to be able to keep your job and therefore, make your mortgage payments on time. Income. If paid salary and regular hours, this can be pretty easy to compute. When your hours vary, the income needs to be averaged. Also, if you’re paid bonuses or commission and going for the best interest rate (not stated income or no income verified), then your bonuses and commissions are typically averaged for the past two years. Debt-to-income ratios are crucial for qualifying for mortgages. A $500 car payment equals $50,000 less home that you can purchase. Savings and assets. There are many zero down loans, even if you are considering that route, it is in your best interest to have at least three months of your future mortgage payments in savings after all closing costs are paid. The more money you can put down towards a home, the better your interest rate will be. Credit Scores. Having scores above 680 are a worthy goal. A score 700 or more is even better! Pay your accounts on time. Keep your balances below 30% of the credit limit for the best scores. Take care of your credit and it will take care of you. Credit is reflective. 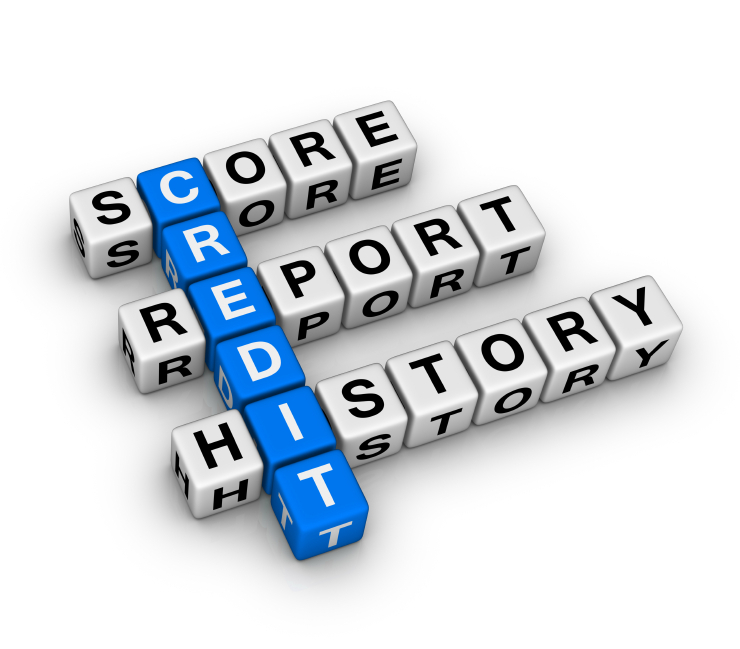 If your credit score is on the low end, meet with a Mortgage Planner to help you develop a plan to improve your score. All of these factors impact how a borrower qualifies for a mortgage. The more strong legs you have reduces the risk to the lender, which in turn means a better interest rate for you!